Our vacation/honeymoon in Rome this spring changed our daily routine back home. In a big way. 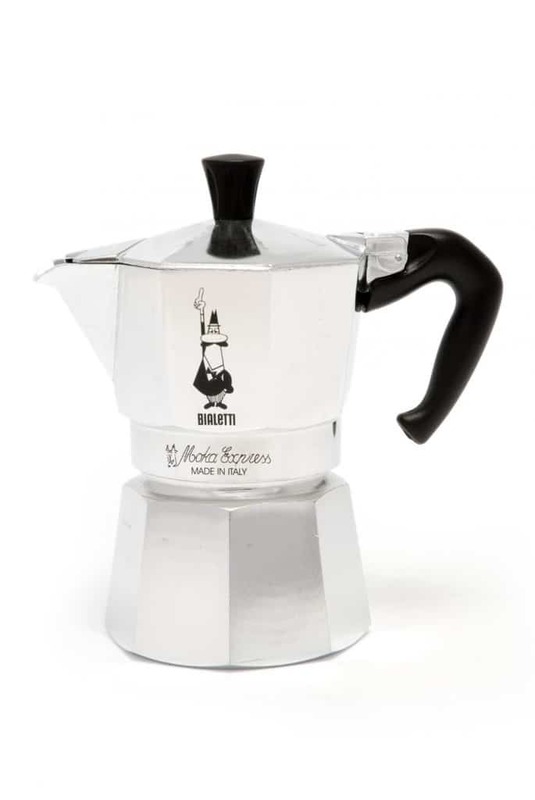 We’re coffee drinkers, and on arrival at the apartment we rented in Rome we found two coffee pots: a broken, American-style drip machine, and the kind of 2-chamber espresso stove-top pot that is found in many Italian households. Margaret makes really terrific coffee, and she’s plucky, so on our first morning in Rome she gave the espresso pot a go…. Result: delicious. It’s remarkably quick and simple: put water in the lower chamber, drop in the filter cup, add coffee, screw on the upper chamber, put on a medium hot burner, then pour. The coffee is hot – really hot, like it used to be before that woman sued McDonald’s. And something about using a seasoned aluminum pot makes the coffee exceptional. 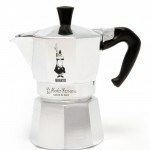 So now our drip-coffee maker has been retired, and every morning we experience a wonderful taste of Rome by making our coffee in a Moka Express pot like the one pictured.